I found this juvenile Western Bluebird a couple of weeks ago and as I was updating my gallery, I realized that I had photographed all of the species in this genus. Ok, I know there are only 3 species of bluebirds, but I have photographed all of them! I am ADD enough to think that is an accomplishment and nerd enough to think it’s cool! I try to learn a little bit about the birds that I photograph and folklore facts are among the coolest. For example this cool one from the Iroquois Nation. The Iroquois believed that the call of the bluebird is thought to ward off the icy power of Sawiskera, also referred to as Flint, the spirit of the winter. Its call caused Sawiskera to flee in fear and the ice to recede. John Snow needs bluebirds and not crows! How’s that for a lead in for pop culture references? Pop Culture references are also awesome. The bluebird has been represented and mistaken in pop music for over a hundred years! Maurice Maeterlinck introduced the concept of a “blue bird of happiness” in his play The Blue Bird (1908). 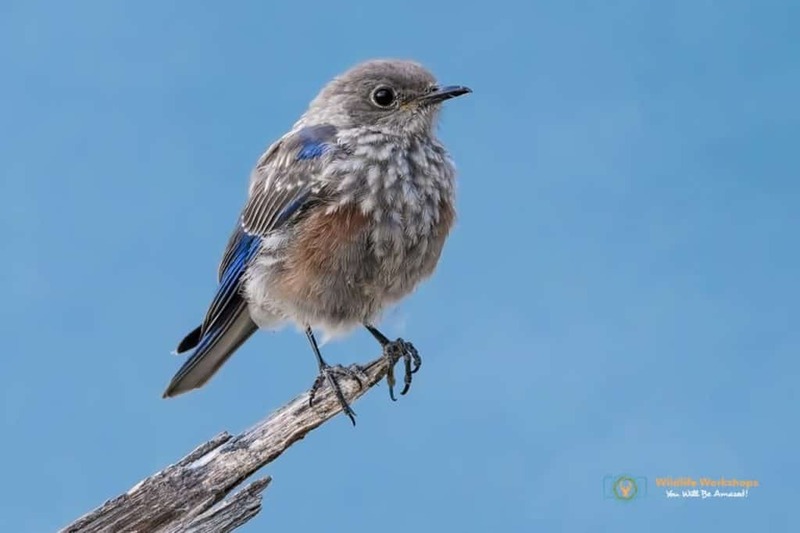 The bird in that play is not a bluebird, but merely a bird that is blue (which is, in the play, a symbolically significant color); subsequent use of the phrase, however, tended to blur this distinction. As a result, bluebirds became a widely recognized symbol of happiness and cheer. Last but not least my favorite form of animal trivia, the Collective Noun. Collective Nouns are the name given to a group of animals. Like a “flock of birds,” but usually way cooler like an “exaltation of larks” I am fascinated and frustrated with discovering Collective Nouns. It’s great when I find a cool story or perhaps the origins of the collective noun. It’s frustrating when I cannot find an “official” collective noun. I guess there isn’t a governing body for such things, I’ve looked. When that happens, I am forced to improvise and come up with my own. Which brings me to the collective noun for the bluebird, there are none on record. While I was looking for one, I discovered that long ago, I had name a group of bluebirds a box. I assume because that bluebird boxes where the usual place that I photographed bluebirds. Well, I am far more advanced these days and have decided that the collective noun should be, beauteous. As in a beauteous of bluebirds was in my garden today! It has a good ring to it. What are your thoughts, leave me a comment. There are a number of bluebird shots in my portfolio along with even more information about Bluebirds, so go an enjoy the looks, learn something new, buy yourself a print or perhaps you need to license an image for a project. All of this can be done via my Bluebird Photography Portfolio. I found your site while searching for the collective noun. Guess I won’t pursue it further given your research, but I’d propose “frolic”. That’s awesome, thanks for letting me know.